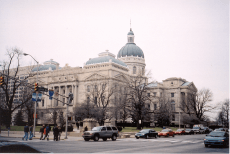 Indiana to Help With Technical Writing Grants Writing Assistance, Inc. Inside Indiana Business reported recently that the Indiana Economic Development Corp. and the Office of Small Business and Entrepreneurship are partnering to help small businesses in Indiana access funding for technical writing assistance to companies writing research or technology transfer proposals. Eligible Indiana companies can receive up to $5,000 in proposal writing or market research assistance for Small Business Innovation Research (SBIR) and Small Business Technology Transfer (STTR) proposals. Companies may also receive up to $500 in proposal review services. The same initiative will also re-launch Indiana’s Phase I matching program. Companies interested in Phase I matching can access up to an additional 50 cents for every federal dollar (up to $50,000 per award), subject to funding availability and eligibility determination through Elevate Ventures. The U.S. Small Business Administration (SBA) Office of Technology oversees the SBIR and STTR Programs. Participating Federal Agencies post solicitations throughout the year. Small businesses compete by submitting proposals to these agencies. A winner in the competitive solicitation process is awarded a grant. Additional information is available through the Indiana Procurement Technical Assistance Center’s webiste at http://www.indianaptac.com/sbirsttr/.